The product mentioned in this post has been provided for the purpose of a review. No other form of payment has been received. All words are my own honest opinion. We love a family games night, especially on these cold evenings with the frost outside. On our latest games night we put our new game Staccups to the test. Staccups is a new game from University games and puts speed and hand eye coordination to the test. The rules are simple to follow, if the base colour of your cup, matches the top colour of one on the podium, then stack it, quickly. The winner is the one who clears all their cups! The game needs minimal assembly before the first time it can be played. 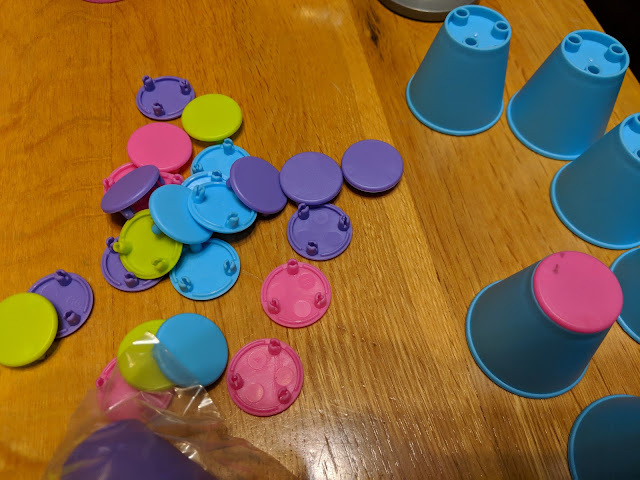 It took less than 5 minutes to place the colour disks on top of the cups. This only needs to be done for the first game, after this the game is ready to go. The instructions for the game and the way to place the colour on which cups are printed on the box itself. I like this as it means there is no separate piece of paper with instructions on, that often get lost. The game starts with a press of the podium. 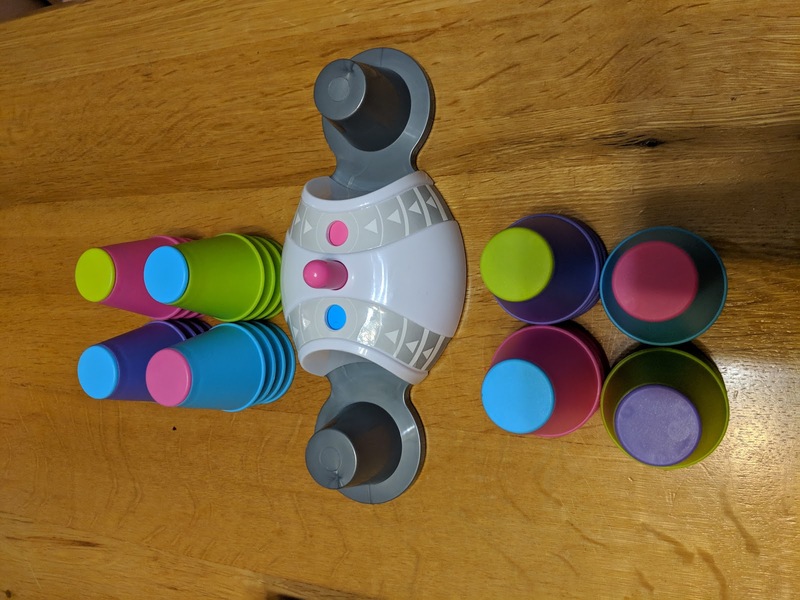 This determines which colour cup starts the game. Players can place cups onto either podium, which is why speed comes into play. The game can be played with either 2, 3 or 4 players. Staccups really gets you to think. 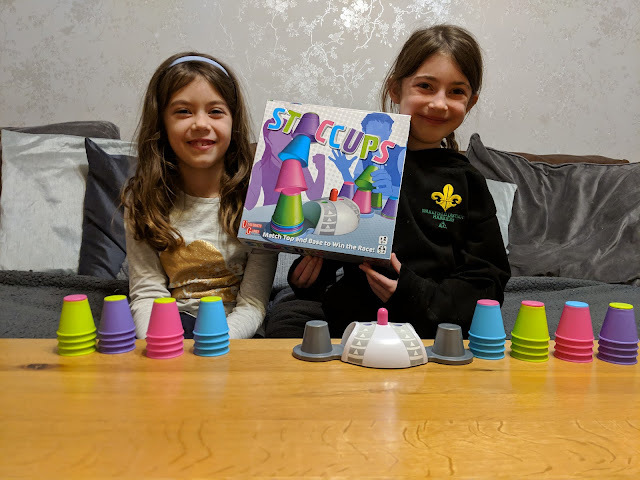 The girls have often said they cannot go because they are looking at the colour of the cup itself, when actually they need to look at the colour on the base of the cup as this determines what to play next. Staccups is really quick and you do need good hand eye co ordination. You also need to be aware of both podiums and not just the one in front of you. Staccups is aimed at ages 8 and over, my youngest at 6 years old can play the game but she does struggle a bit with the speed. Whereas my 8 year old absolutely loves the game and picked it up a lot quicker.